Healing with the Masters is an amaazing teleseminar series that's hosted by acclaimed author, healer and speaker, Jennifer McLean. 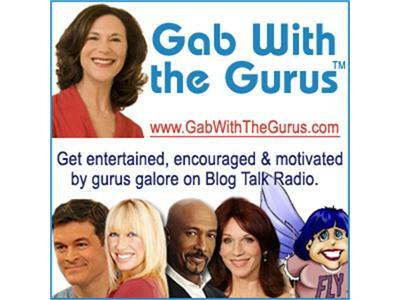 Today, on the Gab with the Gurus, Jennifer will tell you about this exciting 12-week series where you'll get access to 24 renowned leaders, including Wayne Dyer, James Redfield (Celestine Prophesy) Dan Millman (Way Of The Peaceful Warrior) Neale Donald Walsch (Conversations With God), Cheryl Richardson, Iyanla Vanzant (who was JUST on Oprah), Michael Bernard Beckwith, and more. You'll definitely want to catch these inspiring speakers. Sign up here for Healing with the Masters.